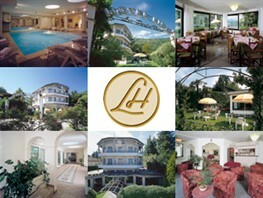 The Hotel Lido La Perla Nera is a 3 star hotel with 36 rooms and has recently been refurbished with an indoor pool, comfortable common spaces and a cosy restaurant. 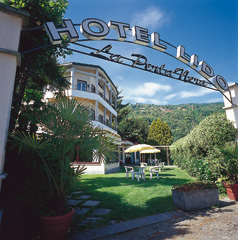 The Hotel Lido La Perla Nera is located at the Lido of Stresa, one of the most characteristic corners of the town. It enjoys a particular quiet position and yet it is favourable because it is next to the cable car station Stresa-Mottarone. From the top of Mottarone at 1490 m you can enjoy breathtaking sceneries: even 7 lakes and the Monte Rosa. The natural beauty of the region is ideal for both a relaxing holiday full of excursions and a sports one, where you can practice golf, horse riding, mountain bike, trekking and paragliding, only to mention a few. Just as the Astoria, the Hotel Lido La Perla Nera is run directly by the owners, the Mariani family: the same management is a guarantee for continuity and quality service.